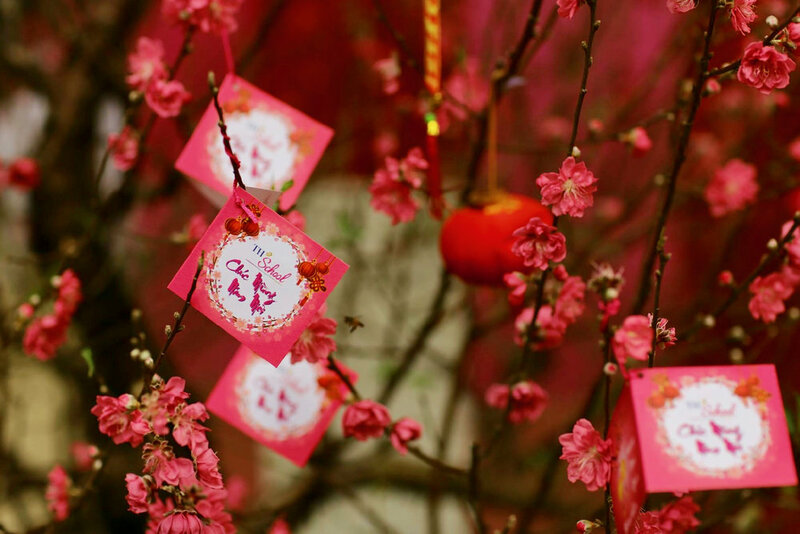 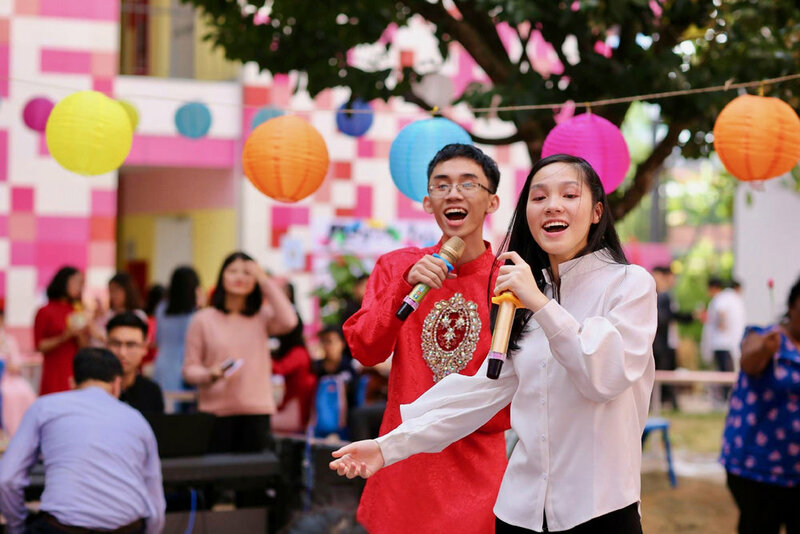 In celebration of the Lunar New Year, Student Council hosted a joyful Tết Festival for TH School students, teachers and staff. 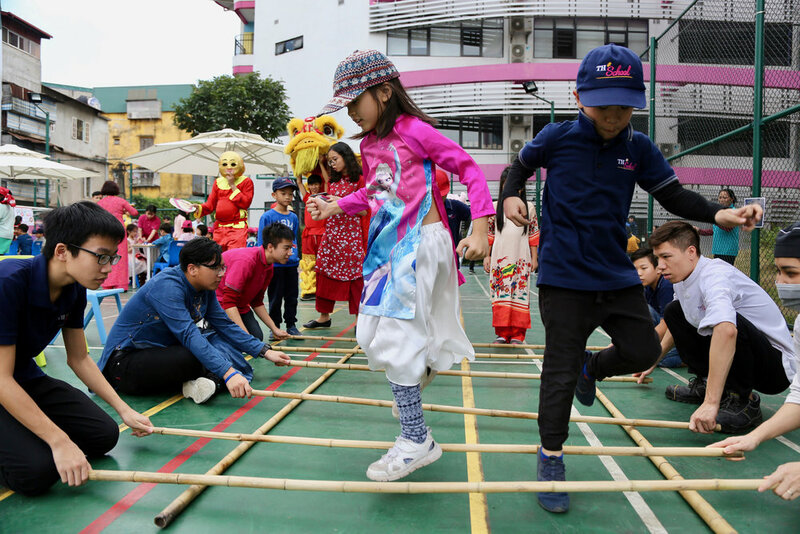 The festival showed off the school’s pride in Vietnamese culture and identity with many features of traditional Tết celebrations, including the lion dance, the making of bánh chưng and curry, calligraphy, painting, and interesting folk games. 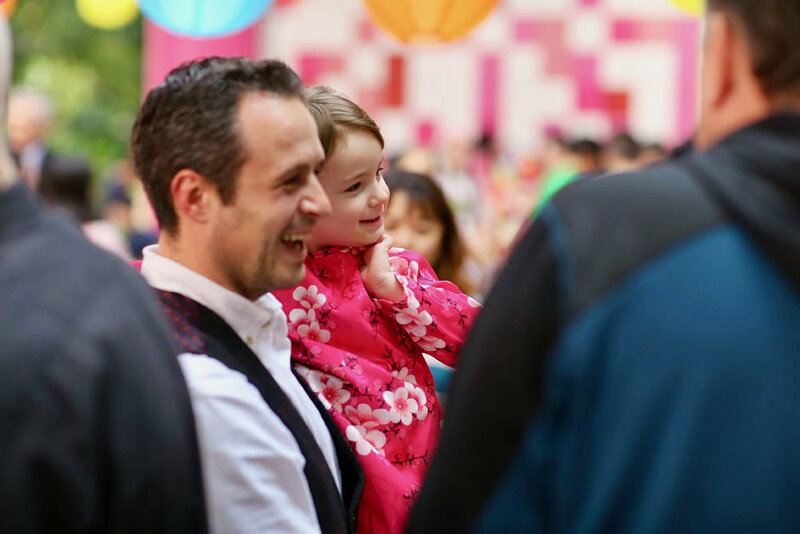 The highlight of this year’s Tết Festival was the food court, made up of many beautifully decorated booths where students served up a range of delicious foods from different regions of Vietnam. 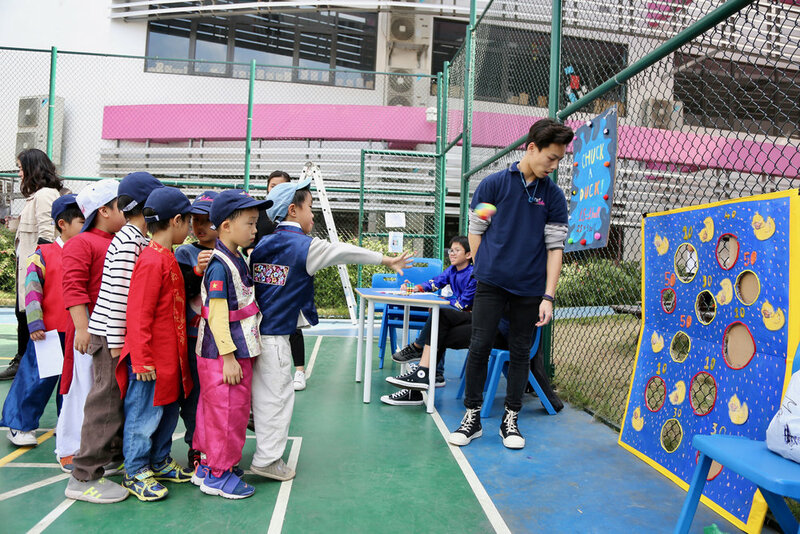 This was an opportunity for the students to demonstrate their professionalism as entrepreneurs, organizing their business through the various stages from production to sales. 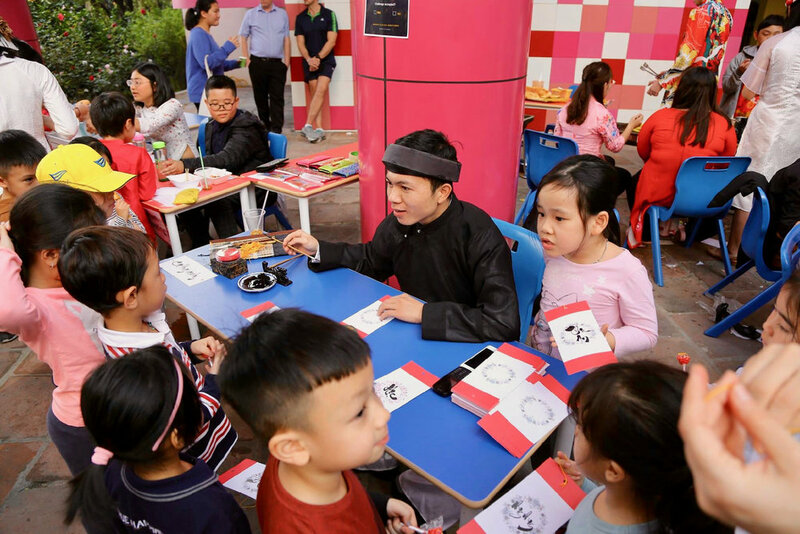 KG and Primary school students enjoyed many different games and activities, and they also learned from their teachers how to better manage the money prepared by their parents to spend toward goods at the festival. 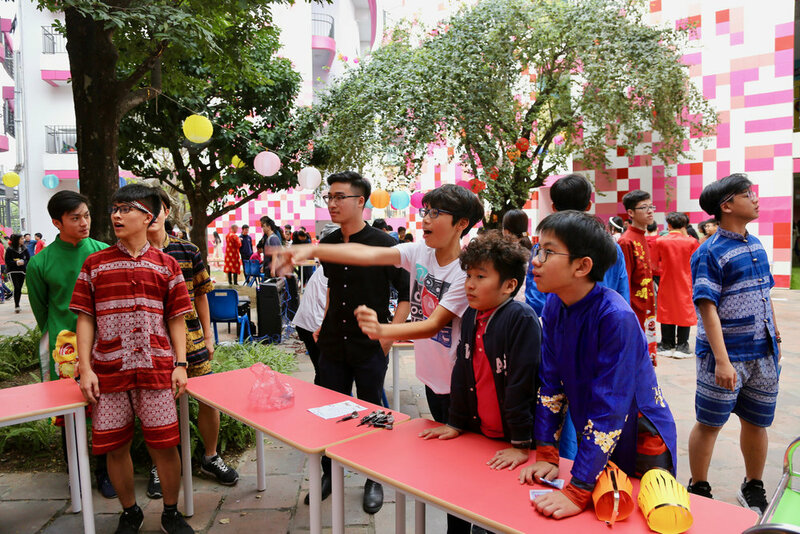 TH School's Tết Fair is one of many educational activities that help students to appreciate the unique culture of Vietnam and practice a range of skills, such as sales, financial management, and organizational skills. 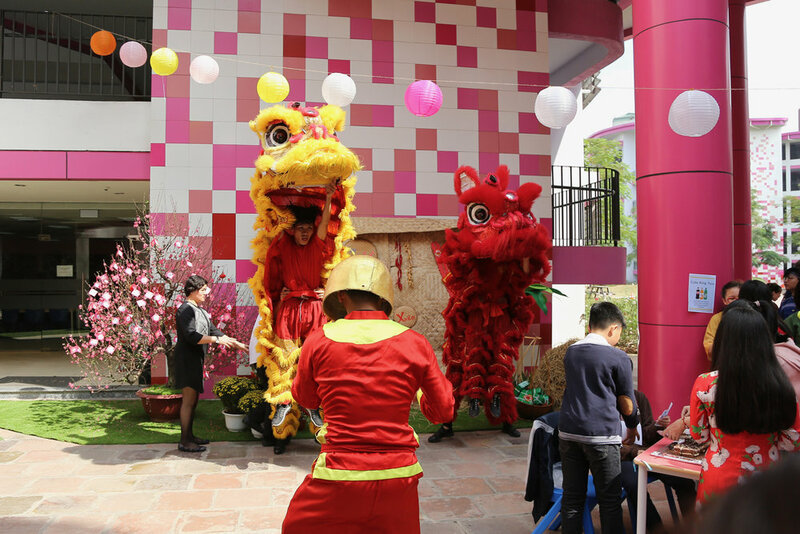 This exciting activity was shown in the TẾT episode of the TV program “Vì tầm vóc Việt," broadcast on VTV1 on February 2, 2019.